Sorry, Sony, Microsoft or Basically Anyone Else: Conan O’Brien Won E3. Maybe you went to E3. Maybe you reveled in all the console reveals, hands-on time with next-gen games and fancy open-bar parties. Maybe you thought you had a great time. 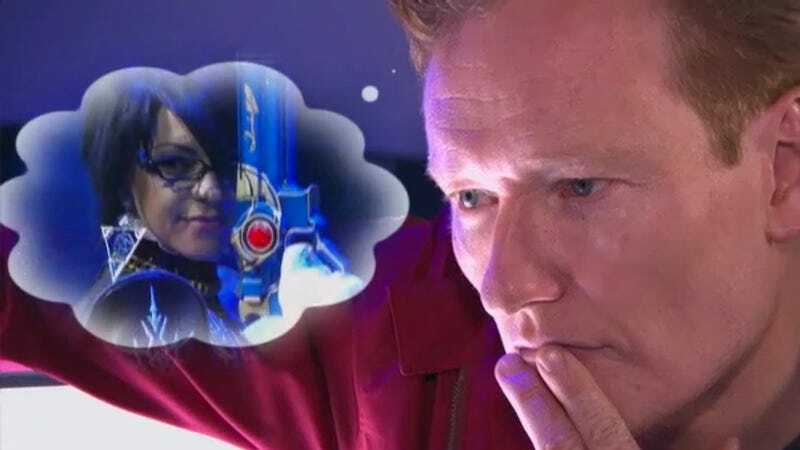 Sorry, but Conan O’Brien clearly had a better time at E3 than any of its thousands of attendees. Whether it’s rendering verdicts on which console is better, falling in love with various heroines or a creepy-funny chat with voice-of-Mario Charles Martinet, there’s just too much funny here. (Turns out Stephen Totilo caught some of the shoot in progress, too.) And, as a bonus, O'Brien got to ask Shigeru Miyamoto a burning question about his most famous creation. Great stuff all around. Hey, ESA, make sure Conan comes back next year, okay?